Hi everyone! 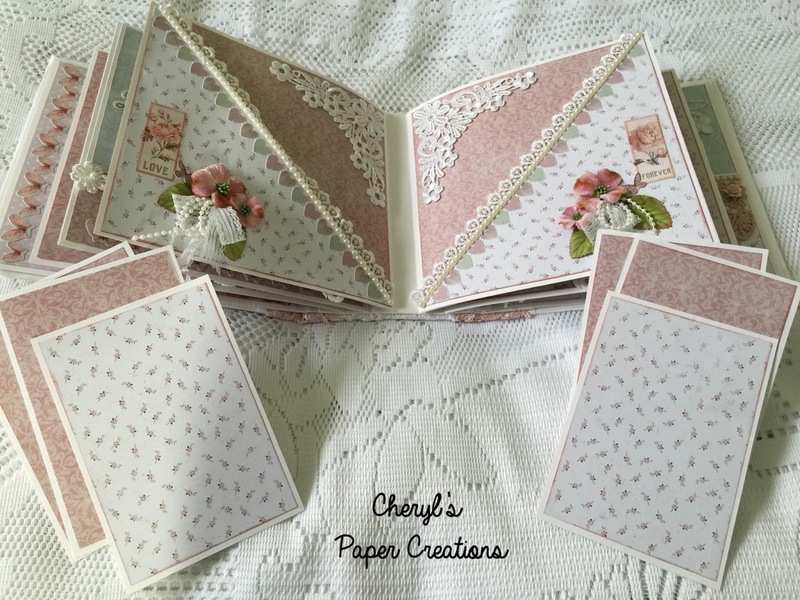 I'm back with another design project for Lucy at https://www.etsy.com/shop/TresorsdeLuxe. 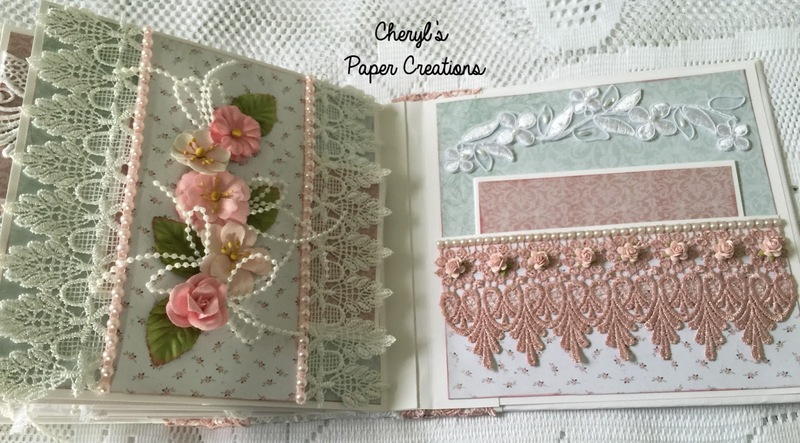 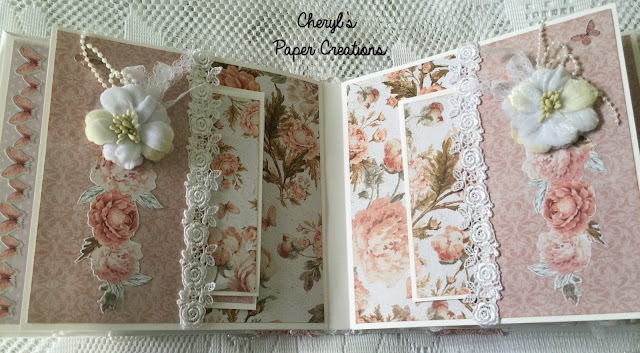 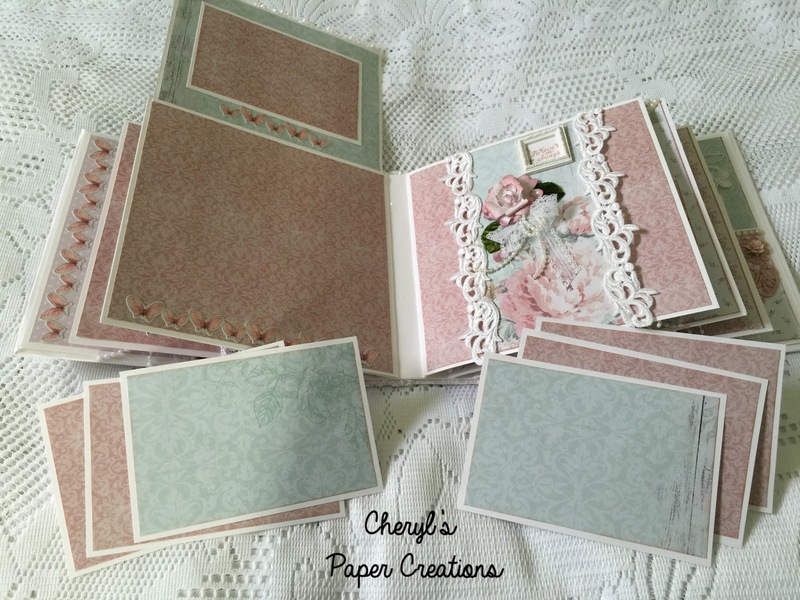 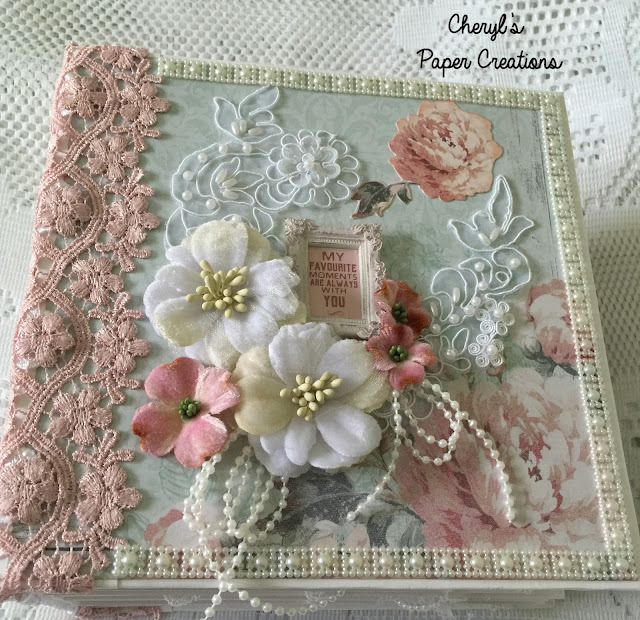 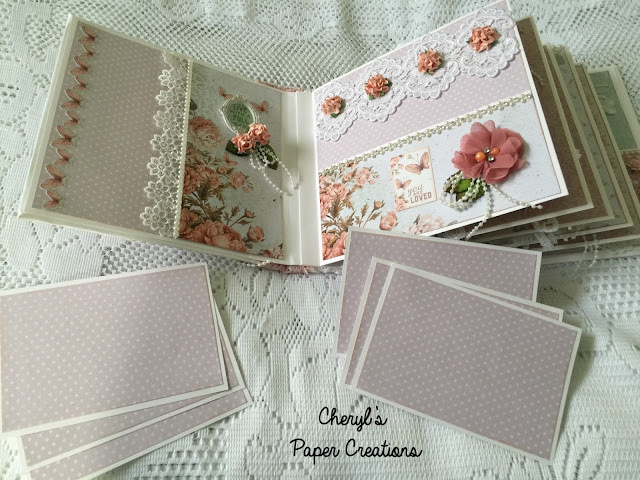 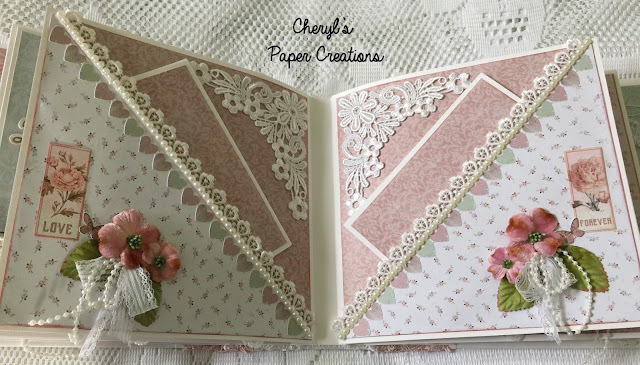 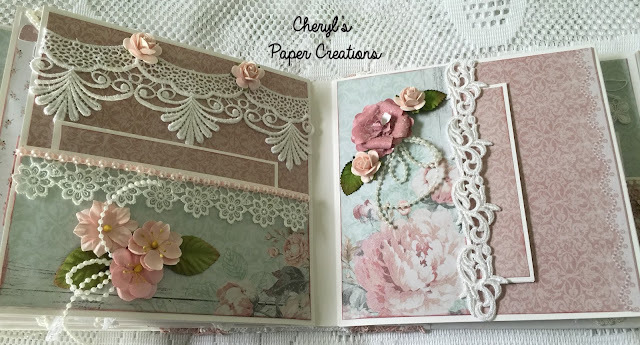 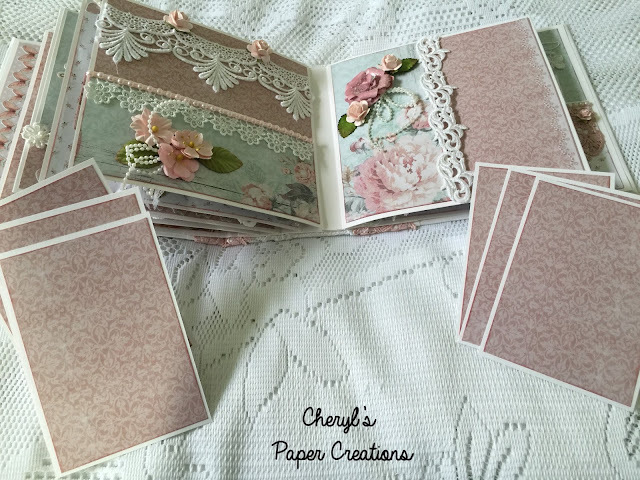 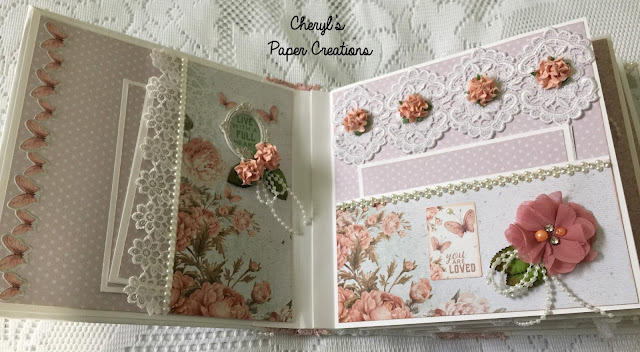 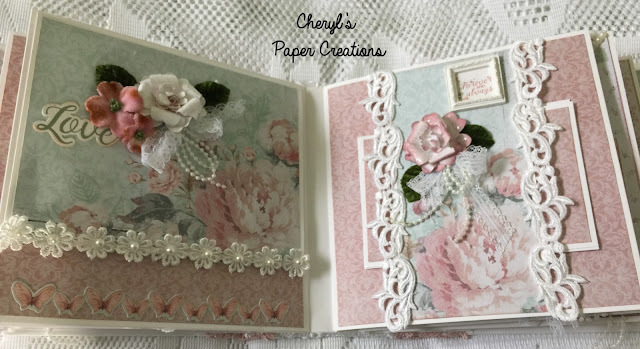 This album is made with the Kaisercraft paper collection "Sage And Grace"and is filled with Tresor's lovely laces, trims and brooches. 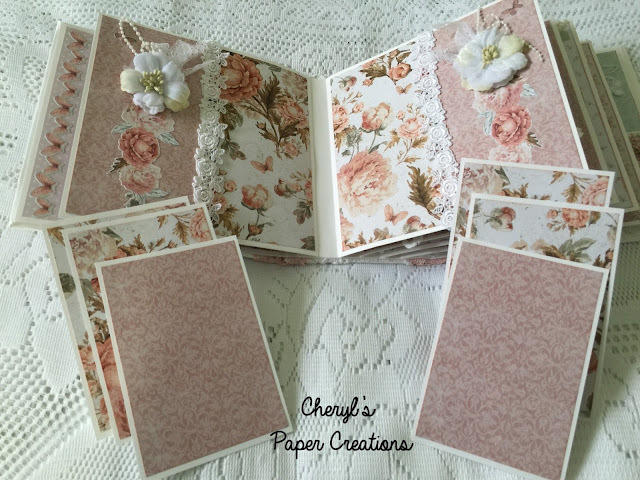 It measures 8.5" x8.5" x 5" and can hold over forty photos. 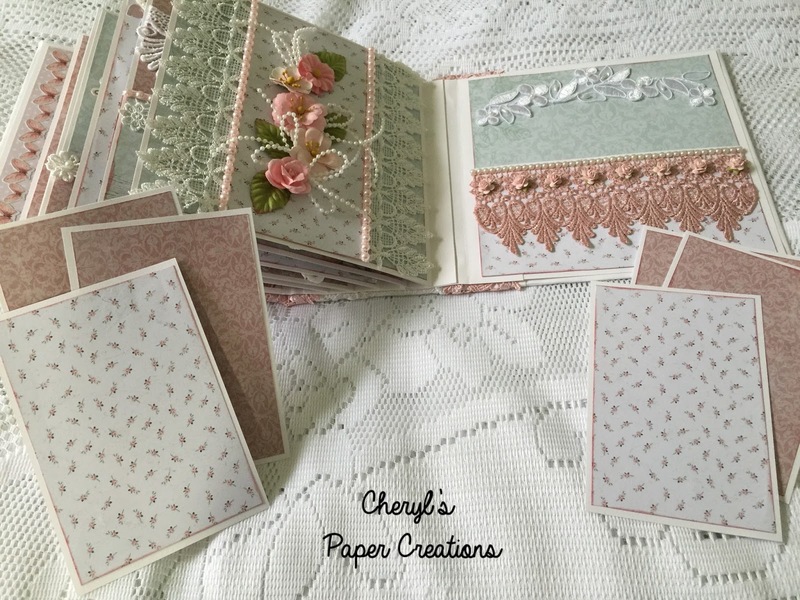 Please check out Tresors, and don't forget to use my discount code "CHERYL10" for 10% off your purchase there. Are those white leaves a die? Really like those. But I like everything!! I did not see your email at the end of video. 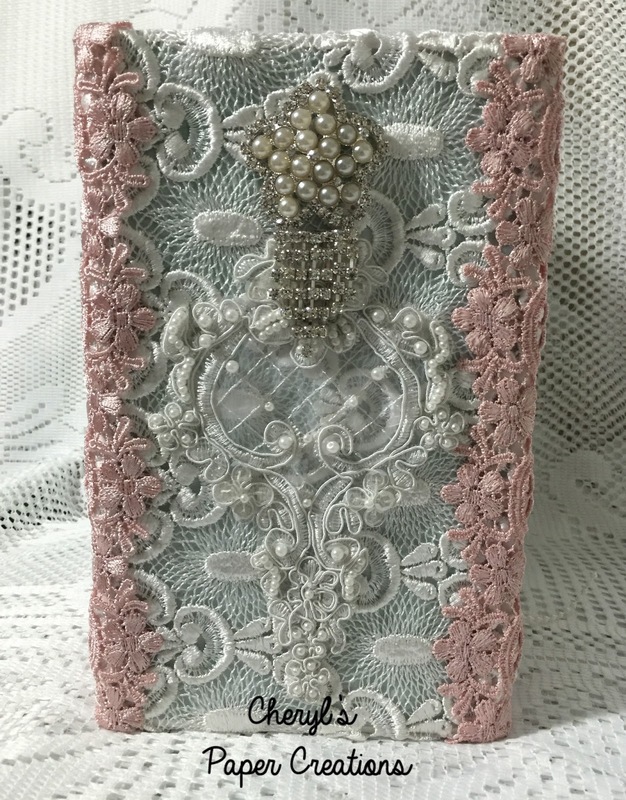 I am interested in buying this it is gorgeous!